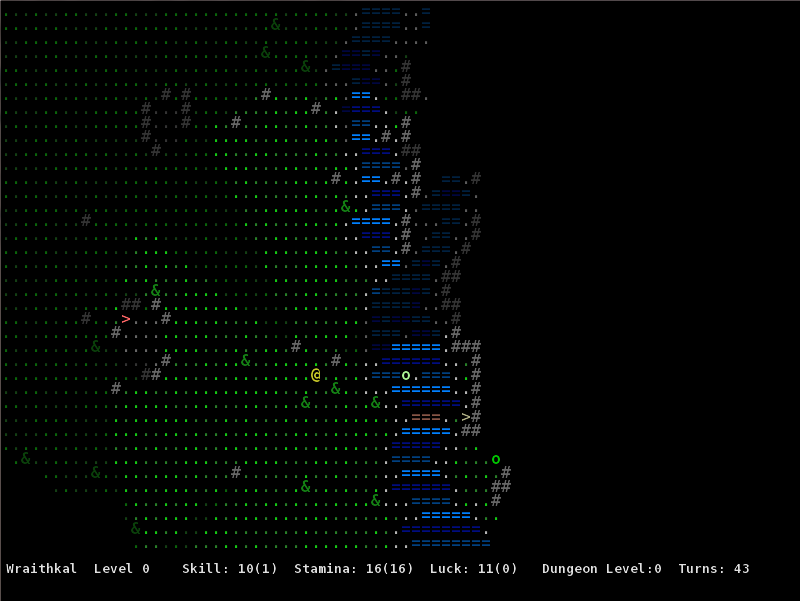 Getting all excited and giddy over an ASCII-based RPG in 2014 is not normal, but do I care? Should I? Heck no, because… The Warlock of Firetop Mountain! I know how crazy this may sound, but many years ago, someone actually took an ancient gamebook, analyzed it cover to cover, did a lot of coding, and the result – well, I think the above picture speaks for itself. Do keep in mind however, that this is neither an official adaptation, nor a 1:1 interpretation, as certain liberties have been taken. Goes without saying, I suppose, considering the vastly different format. It’s definitely an interesting idea though, and from what little I experienced prior to getting impaled by an orc captain, one that’s also quite well executed. Deep in the caverns beneath Firetop Mountain lies an untold wealth of treasure, guarded by a powerful Warlock – or so the rumour goes. Several adventurers like yourself have set off for Firetop Mountain in search of the Warlock’s hoard. None have ever returned. Do you dare follow them? While it’s been more than fifteen years since my last journey through the depths of Firetop Mountain, I still remember just how dangerous that place is. Like, really dangerous – the ‘monster infested corridors and traps galore’ kind! 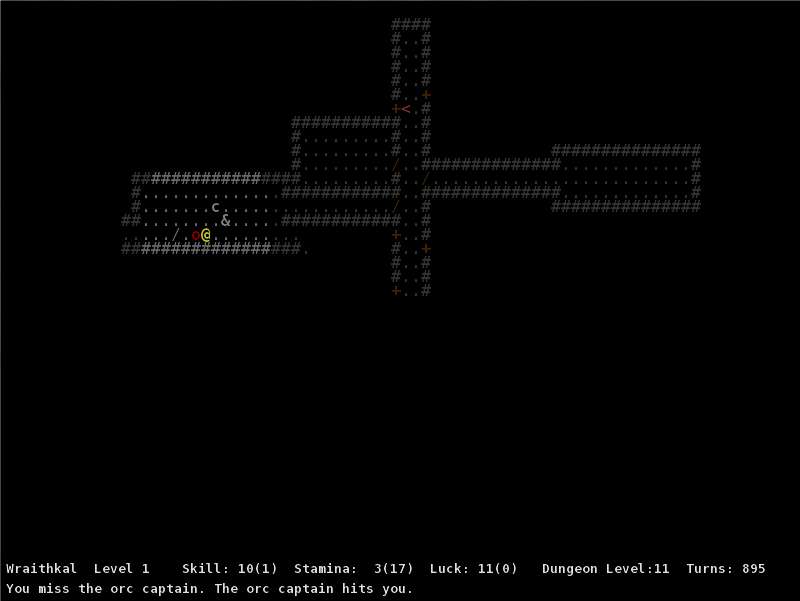 Oh and you better believe that this roguelike is every bit as challenging as the original, even if you won’t be turning pages and rolling dice to fight here. Some may find the prospect of playing The Warlock of Firetop Mountain as an ASCII RPG odd, although seeing how the gamebook was quite the hazardous maze, it’s not that farfetched, really. I doubt you’ll encounter [spoiler] or meet [spoiler] in this version, but hey, speaking of mazes – going through the changelog reveals the inclusion of that… place. Man, talk about headache inducing stuff. Shouldn’t stop you from grabbing a copy of The Warlock of Firetop Mountain Roguelike and experiencing it yourself though. The high difficulty may be offputting at first, but if memory serves, the printed version wasn’t exactly easy either. And besides, we’re talking about a quest for treasure guarded by a powerful warlock here. Nothing about that screams ‘easy’, no matter how you look at it. Just remember to leave sleeping orcs alone, because nothing’s worse than an angry orc.